Antarctica and the Defence White Paper: snow job? The Antarctic has never prominently featured in Defence white papers; indeed it rated a mention in only two of the last four, those in 1987 and 2009. Written some 22 years apart, the difference in tone and content between these strategic assessments of the Antarctic is notable, and worth re-reading before considering what might be said in the 2013 policy statement. The Government strongly supports the provisions of the Antarctic Treaty, which prohibit military use of the territory. The national interest of Australia lies in ensuring that Antarctica remains demilitarised and free from political and strategic competition. So long as Antarctica remains demilitarised, no threat to the security of Australia itself is in prospect from or through that region. 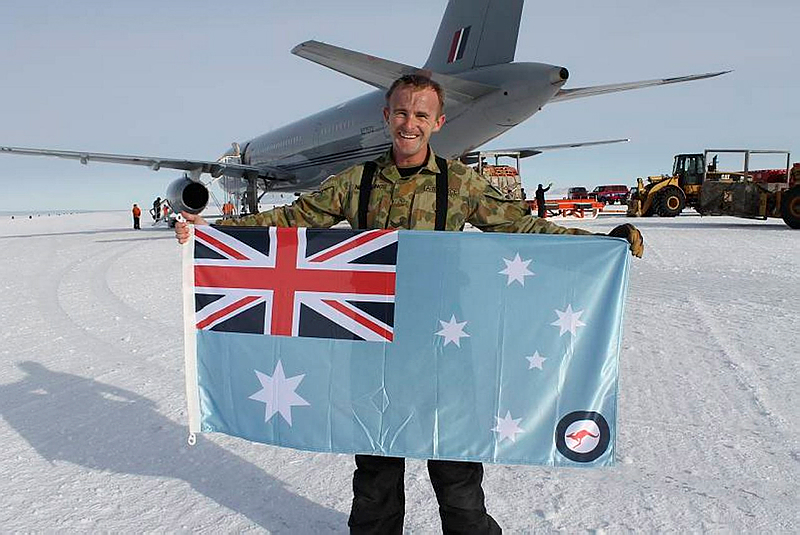 There is no requirement for defence activities to support our territorial or economic interests in Antarctica or for defence involvement beyond the present limited logistic support for Australia’s national effort there. To guide defence planning, the Government has decided that the ADF’s primary operational environment extends from the eastern Indian Ocean to the island states of Polynesia, and from the equator to the Southern Ocean. That area contains all Australian sovereign, offshore and economic territories, such as Cocos (Keeling) Islands, Christmas Island, Heard and McDonald Islands, Macquarie Island, Norfolk Island and also waters adjacent to the Australian Antarctic Territory. The Asian Century White Paper mentions Antarctica in its rather thin chapter on security . There the emphasis is on ‘maintaining and protecting’ what sounds like an increasingly beleaguered Antarctic Treaty and working with a large number of countries, including China, Japan, Korea, Malaysia and Indonesia, on scientific and conservation measures. So what should the forthcoming 2013 Defence White Paper say about the frozen continent? First, it ought to acknowledge that strategic interest in the region has grown rapidly. There’s clearly something of a race to the pole on the part of countries interested in scoping the resource potential of Antarctica. Second, the White Paper will surely point to increases in instances of illegal fishing in southern waters, which have forced ADF and Customs responses in recent years in attempts to police our Exclusive Economic Zones. We have regrettably grown used to the annual summer theatre of Japan (which should know better) and Greenpeace (which clearly doesn’t) jousting over whales in Antarctic waters. What could Australia do if it found it had to respond to a safety of life at sea issue in southern waters? What could we do if there was a need to sustain a maritime presence there during a full summer season? Our currently very limited capacity to operate in the far south is looking embarrassingly poor and not in keeping with the claim that this is our primary operational environment. This leads to the third point that a new white paper can usefully make: when it comes to our Antarctic interests Australia better use it, or we risk losing it in what will be a more competitive strategic world in coming decades. The credibility of our claims will erode in lock-step with the erosion of our capacity to service our research stations by sea and air. Canberra officials right now are considering what can be done to sustain and deepen our air and maritime capability to reach Antarctica. The options are expensive because of the distances involved and difficult operating conditions. In the case of aircraft capability, it’s hard to identify organisations other than the RAAF that could reliably maintain an air bridge with the necessary safety, so Defence will inevitably be drawn more closely into discussions on sustaining our Antarctic presence. That is very much in keeping with the post-WWII history of Australian involvement in Antarctica. Much of our presence there was built or sustained by the ADF until support services were contracted out in the 1990s. Defence will, of course, baulk at being charged with a new mission without financial supplementation. So don’t expect White Paper 2013 to be volunteering any free ADF services for Antarctic sustainment. But Cabinet will soon confront the ‘use it or lose it’ challenge of how to keep our presence going in Antarctica, and Defence should get ready for that moment. Peter Jennings is executive director of the Australian Strategic Policy Institute. Image courtesy of Department of Defence .